It had been some time since Facebook released their new Send Button.The Send button is a social plugin that websites can use to let people send a link to a friend through Facebook Messages, post it to a Group, or email it to an individual. Follow this tutorial to add it to your Blogger Blog. Configure how your Send button should look like, using the options below, and then continue following the instructions in this tutorial. 1. Login to your Blogger Dashboard, and navigate to Design > Edit HTML. 3. Look for <data:post.body/> and immediately below that paste the following code. 6. Save your template, and now you should have the send button working on your blog. Hmmmm I want something more than the plain send button!! In that case, you can use the Facebook like button which can accommodate a send button along with it. To know more about the usage, refer the following post. btw, i still wondering how did you put adsense between post on homepage..
We hope you'll join us in our blog "Bacheca Vintage", as we've done with yours, if you'll find it interesting!! iframe src="http://www.facebook.com/plugins/comments.php?href=example.com&permalink=1" scrolling="no" frameborder="0" style="border:none; overflow:hidden; width:130px; height:16px;" allowTransparency="true"
i wanna ask what code for blogger to replace " href=example.com&permalink=1"
If the Send button is placed near the edge of an HTML element with the overflow property set to hidden, the flyout may be clipped or completely hidden when the button is clicked. This can be remedied by setting setting the overflow property to a value other than hidden, such as visible, scroll, or auto. 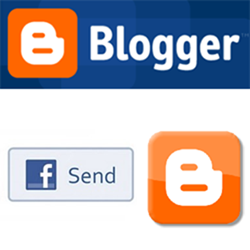 hey,there is no in my blog's html..
Hi admin this facebook send button is very useful and sharing any post with facebook easily. but i can not find in my temple !! !